And then BAM new front end and back in it. 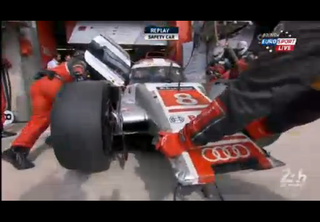 The Audi-Joest crew, and the Audi-8 (you guys should use this nomenclature) crew in particular... seriously. Not even lost a lap. They should come up with a repair shop or something to train future pit crews.